New Rochelle, NY, August 20, 2018–Gene therapy using an optimized adeno-associated virus (AAV) to deliver the human factor VIII gene to cynomolgus macaques showed a substantial increase in hFVIII expression and no detectable antibody response for 30 weeks in some animals. These promising data combined with evidence that the optimized vector AAVhu37 is suitable for manufacturing and purification at scale, suggests that AAVhu37-based gene therapy has the potential to advance to the clinic to treat hemophil-ia A, according to an article published in Human Gene Therapy, a peer-reviewed journal from Mary Ann Liebert, Inc., publishers. 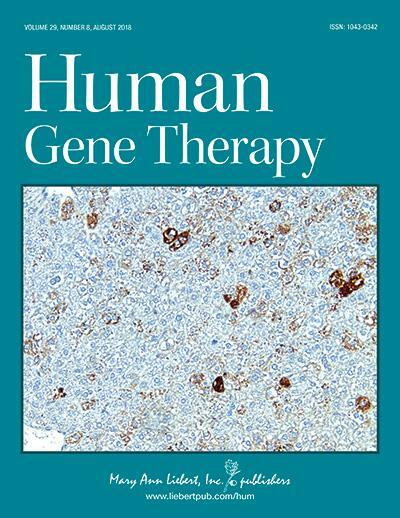 Click here to read the full-text article free on the Human Gene Therapy website through September 20, 2018. James M. Wilson, MD, PhD, University of Pennsylvania, Philadelphia and colleagues from University of Pennsylvania and Ultragenyz Gene Therapy, Cambridge, MA coau-thored the article entitled "Optimized Adeno-Associated Viral-Mediated Human Factor VIII Gene Therapy in Cynomolgus Macaques." The researchers compared two AAV cap-sids – AAVrh10 and AAVhu37 – combined with two liver-specific promoters and en-hancers – E03.TTR and E12.A1AT. The researchers concluded that development of AAV-based gene therapeutics for hemophilia A should continue using the AAVhu37 capsid. "The field now appreciates that there is a finite dose window in which systemic rAAV will be safe and effective," says Editor-in-Chief Terence R. Flotte, MD, Celia and Isaac Haidak Professor of Medical Education and Dean, Provost, and Executive Deputy Chan-cellor, University of Massachusetts Medical School, Worcester, MA. "This means that optimization of the potency of vector constructs may be critical to enable a long-term clin-ical success in the treatment of hemophilia A."